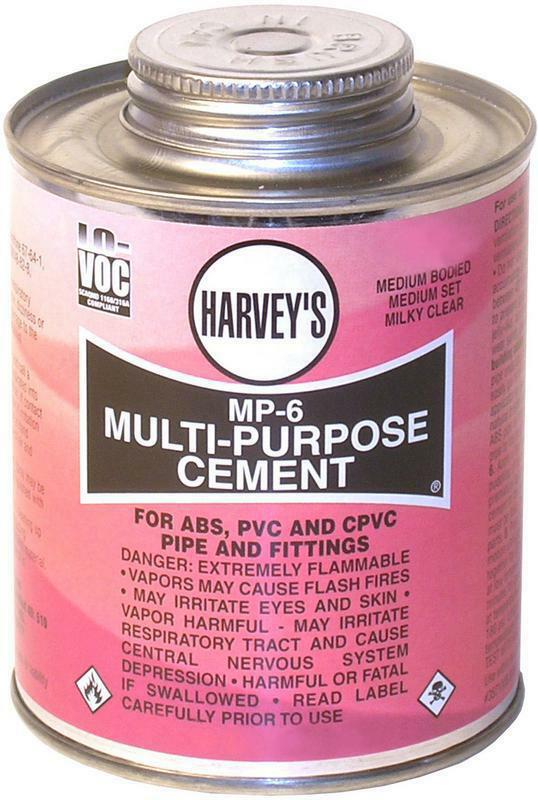 MP-6 MULTI-PURPOSE SOLVENT CEMENT Clear, medium bodied/set multi-purpose cement Use on PVC, CPVC, ABS pipe and fittings Schedule 40 & 80, Types I and II, up to 6" For potable water, pressure pipes, gas - conduit, drain waste and vent pipe Free flowing, provides thick layer of cement Apply at temperatures from 40F to 100F Dauber can 018000-24 4Oz MP CEMENT SIZE:4 Oz. 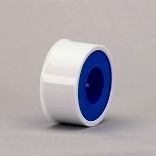 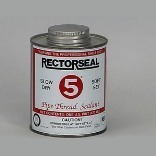 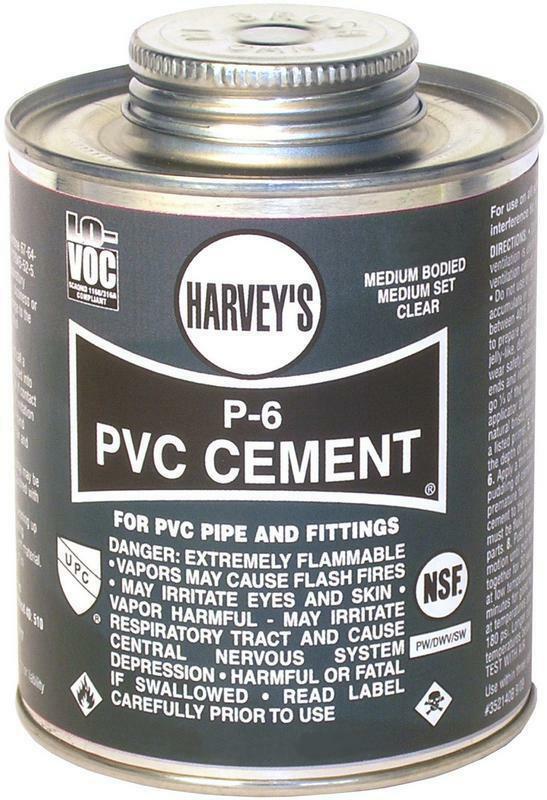 P-4 REGULAR BODIED CLEAR PVC CEMENT Regular bodied, fast set PVC solvent cement For PVC pressure pipe and fittings For PVC pipe and fittings up to 4" Schedule 40 through 4", Schedule 80 up to 2" Types I and II Flows freely, sets up quickly Dauber can 018100-24 P-4 4Oz PVC CEMENT SIZE:4 Oz. 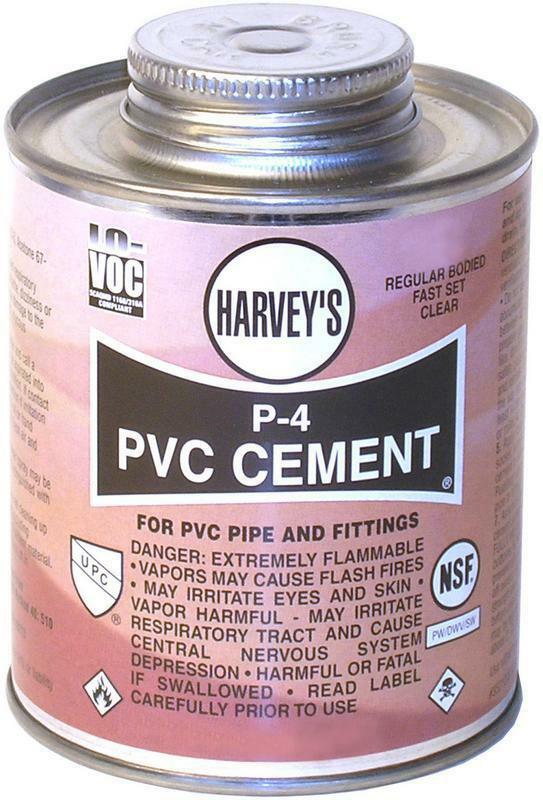 P-4 REGULAR BODIED CLEAR PVC CEMENT Regular bodied, fast set PVC solvent cement For PVC pressure pipe and fittings For PVC pipe and fittings up to 4" Schedule 40 through 4", Schedule 80 up to 2" Types I and II Flows freely, sets up quickly Dauber can 018110 1/2PT REG PVC CEMENT SIZE:8 Oz. 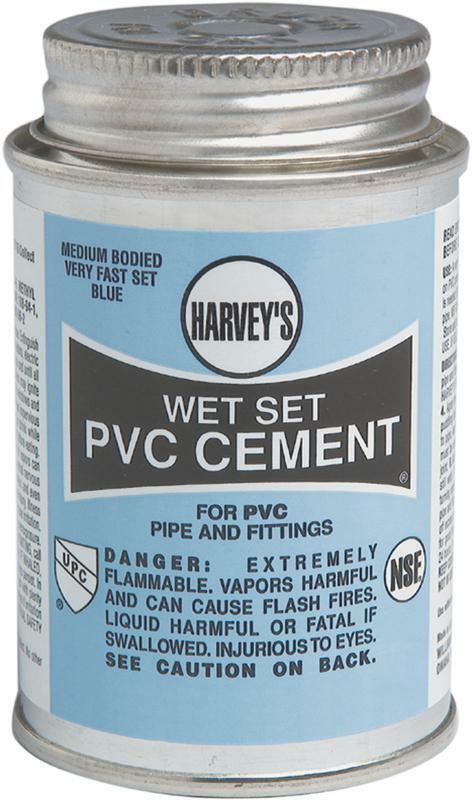 WET SET BLUE PVC CEMENT Very fast setting, medium bodied PVC solvent For wet conditions needing quick pressurization Recommended for pressure pipe Schedule 40 & 80, Type I and II, up to 6" For irrigation, natural gas pipe & conduit pipe Effective temperature range 40F to 100F Dauber can 018410-24 1/2PT BU PVC CEMENT SIZE:8 Oz. 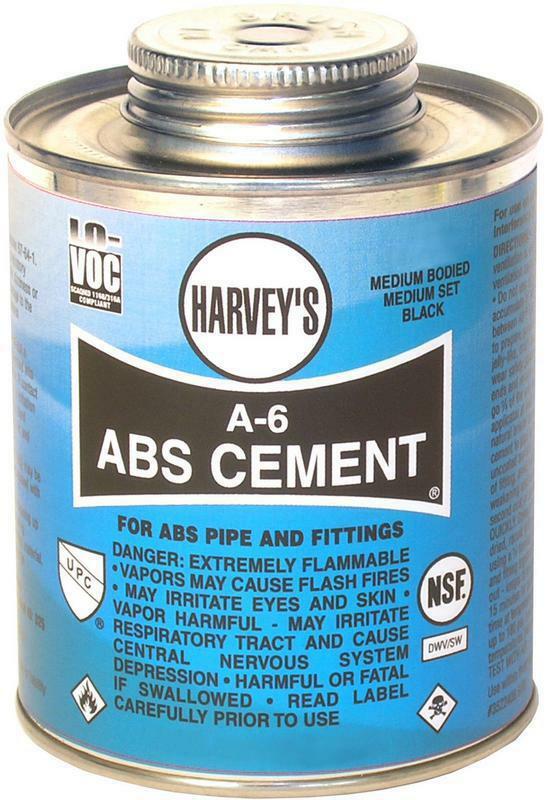 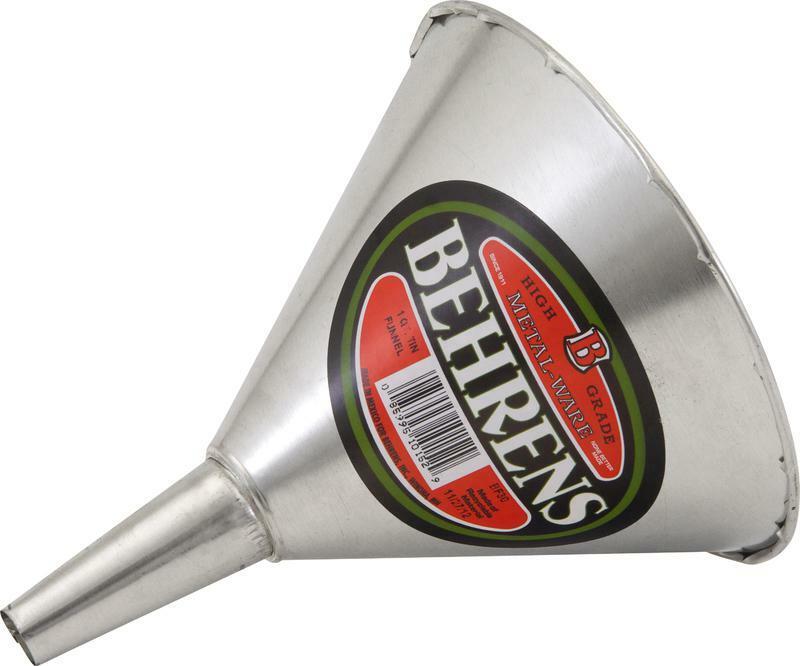 ABS CEMENT For non-pressure ABS pipe & fittings up to 6" Medium bodied, medium set Schedule 40, Types I and II Apply at temperatures 40-100 degrees F A6 black cement in dauber can 018500-24 1/4PT BL ABS CEMENT SIZE:4 Oz. 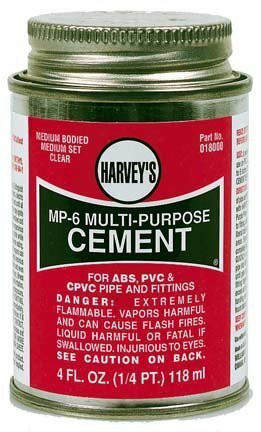 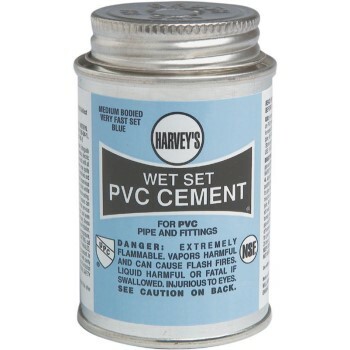 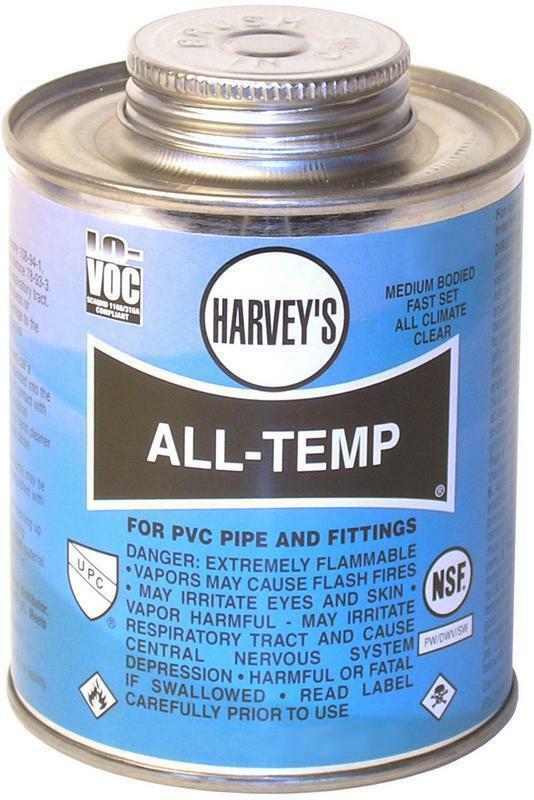 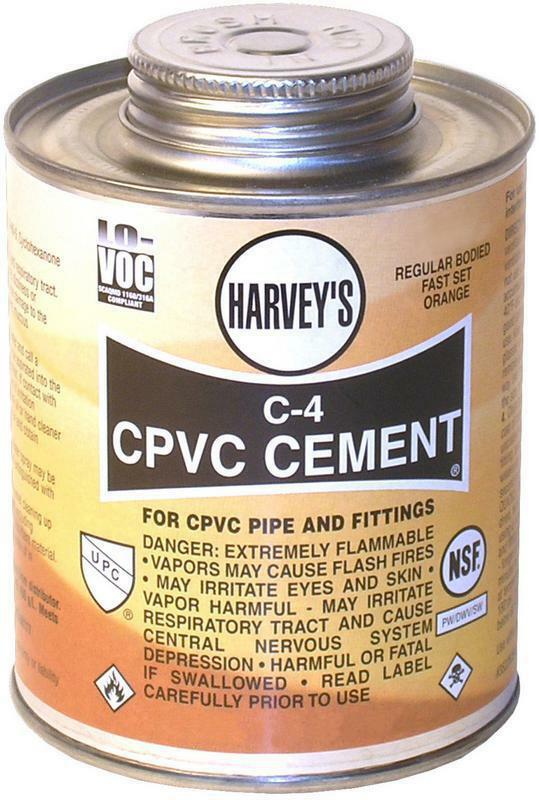 REGULAR BODIED CPVC CEMENT For CPVC pipe & fittings up to 4" Schedule 80 and copper tube size (CTS) CPVC hot Cold water pipe & fittings C4 orange cement in dauber can Dauber can 018700-24 4Oz OR CPVC CEMENT SIZE:4 Oz. 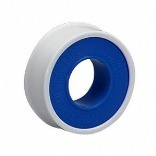 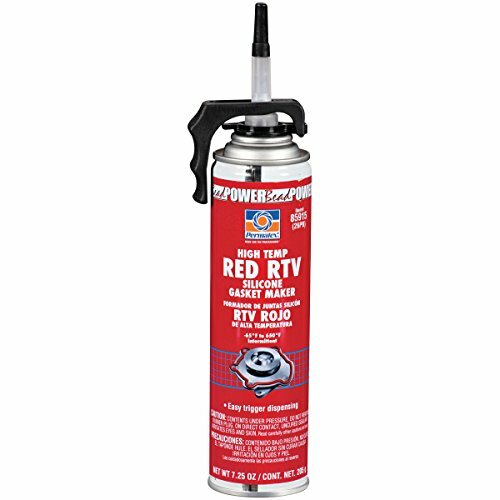 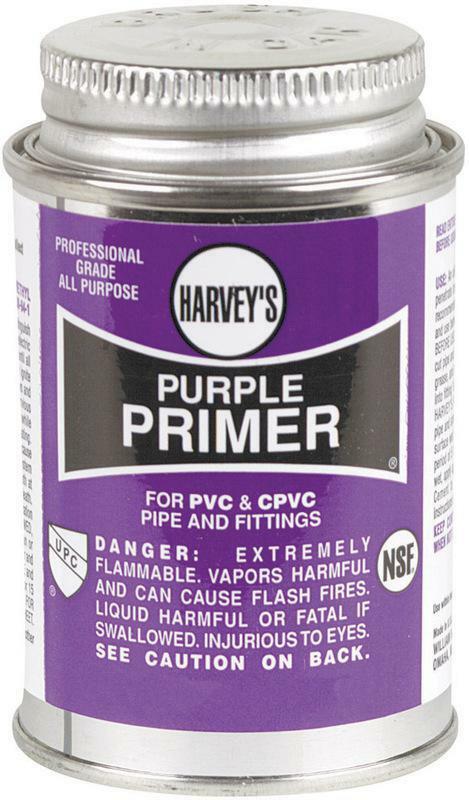 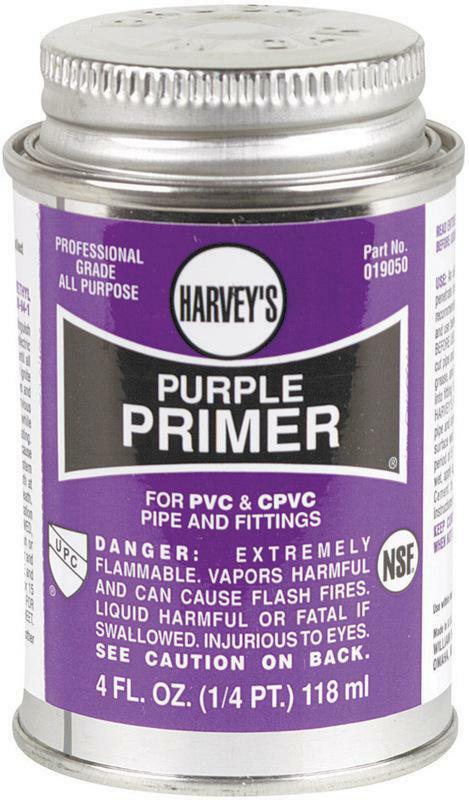 PURPLE PRIMER All-purpose primer Removes gloss, softens & penetrates bonding- surfaces of PVC and CPVC pipe & fittings Apply at temperatures from +40F - +100F NSF certified/UPC listed Dauber can 019050-24 4Oz PURPLE PRIMER SIZE:4 Oz.